I first visited Oaxaca on my very first long-haul trip way back in 2004. It was one of my favourite cities in Mexico and I’d hoped to take Andy there and write about it when we were in Mexico again earlier this year but we ran out of time. Luckily Kristen from Yonderlust Ramblings offered to share her experience of getting off the beaten path in Oaxaca. As a local Texan, Mexico has always boasted the appeal of an easily accessible international destination. 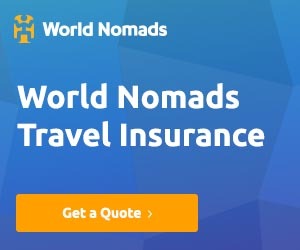 However, I was hesitant to visit the common “go tos” of Cozumel, Cancun, or Puerto Vallarta, and become yet another tourist awash in a sea of other tourists, fighting for a square foot of space on the beach. For this reason, I veered off the beaten path and headed further south to the state of Oaxaca, Mexico. The state of Oaxaca is located in Southwestern Mexico, bordered by a stunning coastline to its south. This region holds a rich history of indigenous peoples and cultures, spanning back to the days when Oaxaca was inhabited by the Zapotec Indians. The ruins of Monte Alban were previously one of the largest inhabited centers of early Mexico and an integral part of the Zapotec civilization. Oaxaca is up and coming in the tourism world, due to its authentic cultural experiences and secluded beaches. This region is famous for its traditional delicacies of mole sauces, mezcal, and fried grasshoppers, as well as its history of intricate woodworking and handicrafts, stemming from the roots of its indigenous peoples. Oaxaca has something to offer outdoor enthusiasts, culinary experts, beach bathers, and history buffs. For history lovers, Oaxaca is sprinkled with architecturally rich buildings, like the golden Templo de Santo Domingo, the stark white Basilica de la Soledad, or the ancient ruins at Monte Alban. 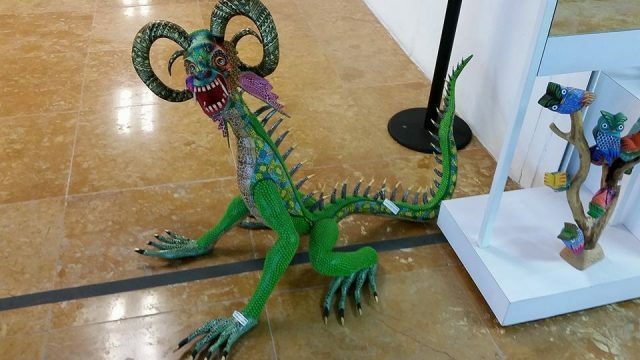 Or you can check out a few fascinating museums such as the Museum of Pre-Hispanic Art or the Museum of Culture. 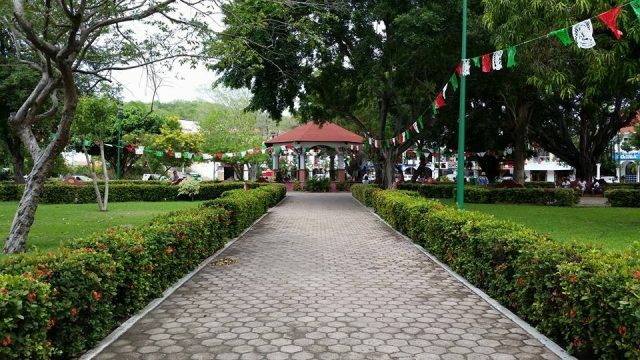 For those chasing culinary experiences, check out the Benito Juarez Market, or the fried grasshoppers and traditional moles at the town square of Huatulco. 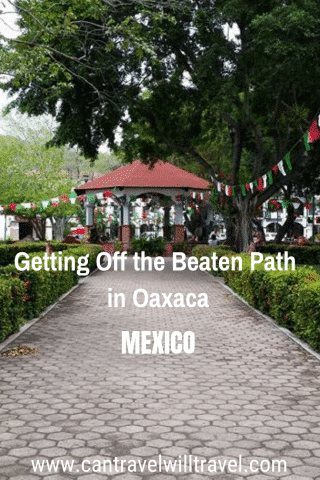 Looking for a place to stretch your legs and get your heart pumping in Oaxaca? Pueblos Mancomunados offers pristine hiking opportunities, while the Ethnobotanical Garden allows visitors to experience some of the indigenous fauna of the region. Or you can head to the coast for some excursions waterfront and a chance to play in the surf! Get Your Guide offer some great tours and activities in and around Oaxaca. 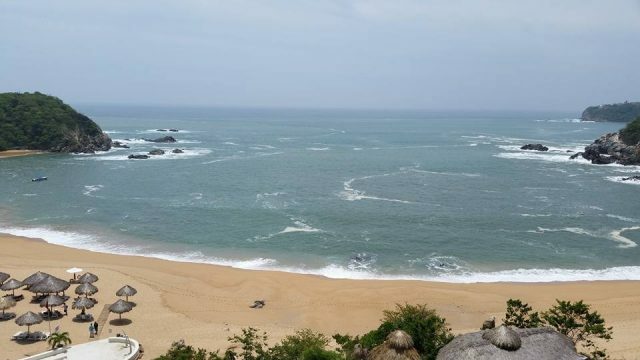 When it comes to my personal favourite, you can’t beat the ocean bordering gem of Huatulco. Only a short jaunt from Bahias de Huatulco Airport, this town boasts intimate beachfront resorts, nestled snuggly between lush jungle slopes, as well as truly unique dining, shopping, and cultural experiences in its main town square! In my opinion, the main highlight in Huatulco is its authenticity! Inside the town square, there is a historical church which is open to the public for viewing, as well as a quaint park-like setting in the plaza, in which you can find a shady spot to people watch. There are plenty of local food options, and I would urge anyone to bravely try the fried grasshoppers, as well as traditional mole sauces, which the region is famous for. There are a variety of vendors in Huatulco, including jewelry, carvings, woodworking, pottery, or any of the local cuisine samplings. Huatulco is on the rise as a popular cruise ship destination, and as so, sometimes the vendors tend to treat you as such. It may feel a bit overwhelming to shop on a non-cruise day, as the vendors will flock to you and swarm around you, for lack of other customers. It takes a little getting used to, but stating expectations up front and standing firm goes a long way. As well as just exploring the town take a look at Get Your Guide for ideas of other tours and activities you could do. Oaxaca State has accommodation to suit all budgets and tastes. AirBnB and Booking[. ]com are both good options to start your search. Flights into Oaxaca International Airport may not occur as frequently throughout the day as other Mexican hot spots, and will probably require a layover. If you are targeting the area of Huatulco specifically, consider Bahias de Huatulco International Airport. From there, it is a short cab ride over to resorts lining the Pacific. Oaxaca has a simple charm that I have not previously experienced elsewhere in Mexico. It is authentic enough to allow for new and unique experiences, yet humble enough to grant its visitors a dose of seclusion. Oaxaca is still a largely undiscovered gem, but it is on the rise, so now is the time to go! Kristen is an experience-seeker, adventure lover, road-tripper, “run-cationer“, hiker, backpacker, “high-pointer”, and goal-setter. 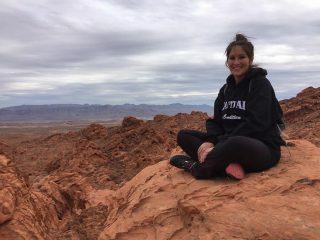 She loves passing on her passion for exploring the world, and hopes to inspire others as well! She believes that the best form of travel is the natural kind, where you let your own two feet do the work! She’s a big proponent of “run-cations”, “hike-cations”, “cycle-cations”, or any kind of goal-inspired active travel! She shares her experiences on her blog Yonderlust Ramblings! Have you been to Oaxaca in Mexico? What was your favourite thing to see or do there? I’ve been to Mexico but I missed Oaxaca. Definitely need to add this to my bucket list! Thanks for the inspiration! I’d love to go back after reading this guest post – I went a long time ago but definitely missed some stuff! This is a great post! 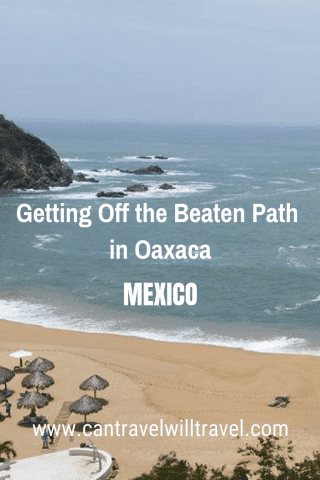 I have been to Puerto Escondido and want to check out Oaxaca City for the culinary scene, but now I’m adding Huatulco to my wish list too! How was Puerto Escondido, we were due to go there on our last trip but had to unfortunately fly home early! Oaxaca looks beautiful! After two recent trips, I’m excited to explore more of Mexico! Yes it is, I’ve been to Mexico twice now too and would love to return at some point to explore the rest of it. Wow, Oaxaca looks like a really interesting place to visit. I haven’t been to Mexico yet but would love to go once. Thanks for the awesome tips! Yes it really is, can’t wait to visit again sometime! I love off-the-beaten-path recommendations. Oaxaca looks really pretty even though it’s not large but most importantly, I love the history of it. Yes from my memory of my distant trip it is lovely, hopefully I’ll visit again at some point with my husband. I love off-the-beaten-path places. They keep authenticity and bring back the original meaning of the word “travel” from the times when tourist traps haven’t existed. Thank you, Tanya, for another tip. Adding it to my “Americas” list. We finally decided that it would be enough Asia for us after July 2019. Guess what, we are going to Mexico after that! I only visited Oaxaca city, including Monte Alban, but loved it! Huatulco is on our must-visit places though, so we will be back in the state, hopefully soon. Yes I missed it when I went all those years back too! Hopefully, I’ll get to go back someday too!